Please note: item comes bagged, not in Playmobil blue boxes. It's big! 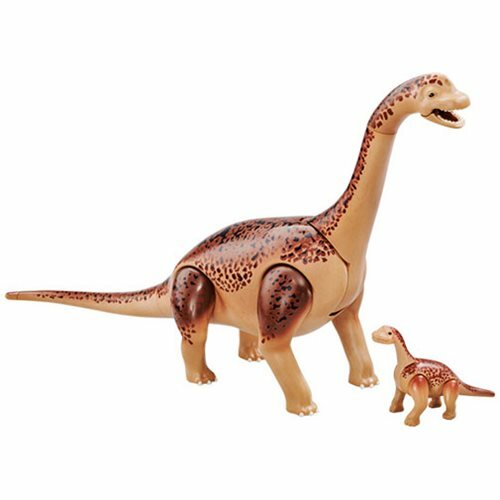 Fully jointed, the Brachiosaurus with baby is sure to put a smile on the face of dinosaur fans of all ages. Includes 2 dinosaurs. Ages 4 and up.